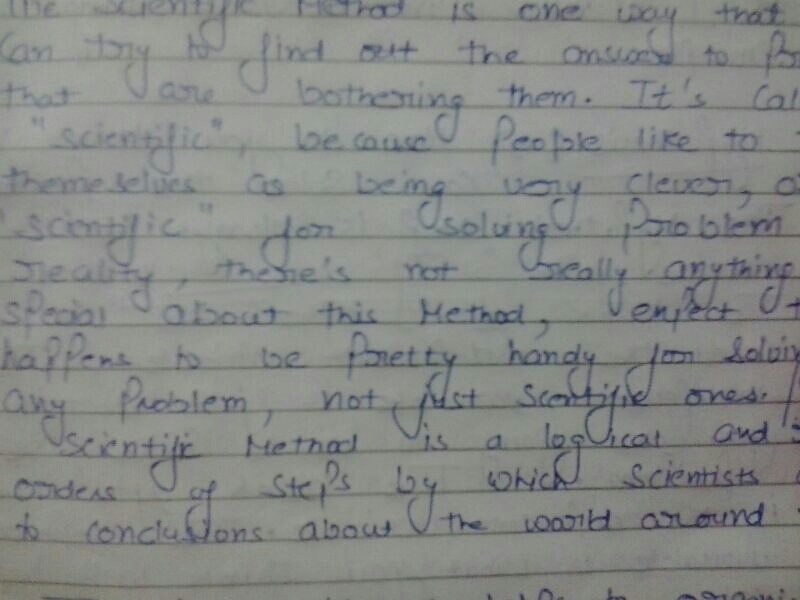 I received this handwriting sample from a girl who attended my motivational seminar in her college. On being asked if she constantly finds people breaking her heart and leaving her alone, she burst into tears and cried her heart out. I was not surprised to see this reaction. I knew she was emotionally broken and that she would again get her heart broken. I knew all this from her single trait about trusting people blindly. How to spot a person who trusts blindly? If you look at the lower loops of the handwriting sample such as in the j’s and y’s, you will notice that they are extraordinarily inflated. They are BIIGGGGG looped! Such people tend to trust others very easily. And as we know the world is full of cunning selfish people who break promises and hardly meet other’s expectations, so the people like her who trust them get hurt. What happens next after a person who trusts blindly is hurt is highly subjective. Because there can be various reactions to the setback depending on a person’s personal beliefs, past experiences and future expectations. The person may become anti-social or may start isolating himself. On the contrary, they may continue to remain the same with the hope of giving another chance to another person in this world, after all everyone is different. So accurately generalizing how they will react to the heartbreak is almost impossible. It varies from person to person. Is trusting people blindly a boon or a bane for the person? Seeing the world around us and how people are ready to do anything to win over the competition, I personally would say it is a con in the personality. A person should exercise rationality while trusting people. A person who trusts blindly usually gets disappointed from his/her friends sooner or later. If you find this trait in yourself, contact a graphologist to get rid of this trait. If you found this article insightful. Please leave a LIKE and SUBSCRIBE to the website, it helps a ton!